There’s no regulation that even mentions logbook flexibility, but every driver who has ever used paper logs understands what that means. Years ago, way before ELDs, the biggest fleets were concerned, first and foremost, that all driver log books were completed correctly. Most drivers got paid per mile, as they are today. To make more money, you had to drive more miles. But the logbook had to be correct. So drivers were motivated to be “creative” about logging their Hours of Service, especially with the 14-hour on-duty rule. Speed limiters made that temptation even stronger. Big carrier companies limited their trucks to a maximum of 65 MPH. That means you could not log more than 715 miles in 11 hours of driving, even if you drove 65 the entire time, you never hit a traffic jam, and didn’t take any breaks. Logging this way became a common practice for many drivers, even though it was unrealistic to think they could drive that far in 11 hours. By ripping a page out of a paper logbook, and starting the log over, the driver gained enough flexibility to get at least a little farther on down the road. Many of the big carriers had rules that you have to log at least 30 minutes for loading or unloading. Detention pay does not start until after two hours of waiting, though, because it often takes that long to load or unload. When the driver was detained for four hours, he would be tempted to log only one hour, so he could get back on the road with more time to drive. It was a good trade-off, even though there would be no opportunity to collect detention pay. This is another one of those moments that the paper log provided the flexibility of just ripping the page out and starting over. Nowadays most of the drivers left running paper logs are owner-operators who get their freight from brokers, including loads posted on load boards. These O-Os are business owners who will do whatever it takes to save the day for that broker, to build a good working relationship and to maintain a reputation for on-time delivery. The paper log and its flexibility will be gone on December 18. 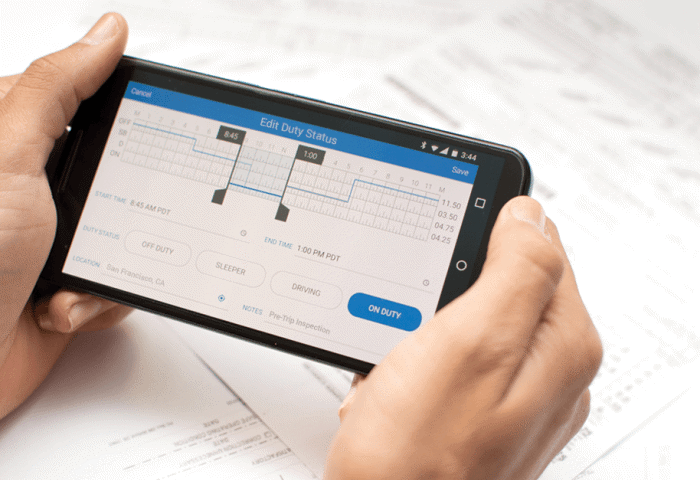 Owner-operators need to figure out how to be successful with ELDs, if they want to keep saving the day for their customers.